Analysis Services has lots of wonderful DAX functions like TOTALYTD and SAMEPERIODLASTYEAR which allow you to summarise your results by date, but to get them to work you'll need to create and use a calendar table first. This blog explains how, and why. Showing only transactions made in July to September 2014. 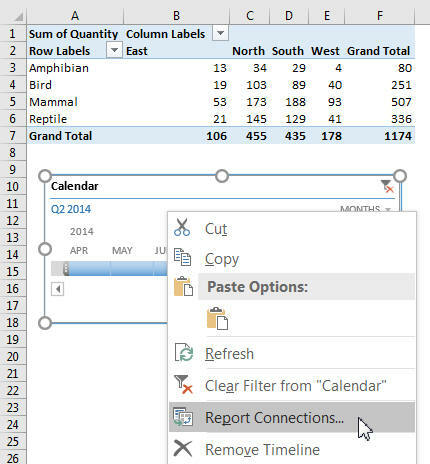 Timelines were introduced in Excel 2013, so you'll search in vain for them in Excel 2010. 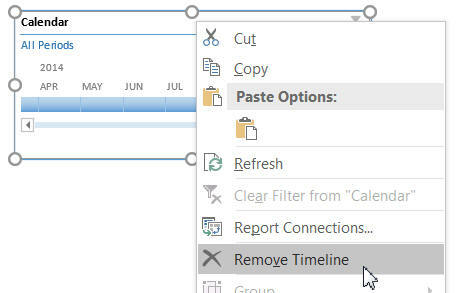 Choose this option on the Analyze tab of the ribbon to insert a timeline. For most people, there will only ever be one table they have designated as a date table. Click on the arrow at the top right to choose your units. Click and drag at either end of the timeline with the arrow which appears (as shown here) to shorten or lengthen the period covered. 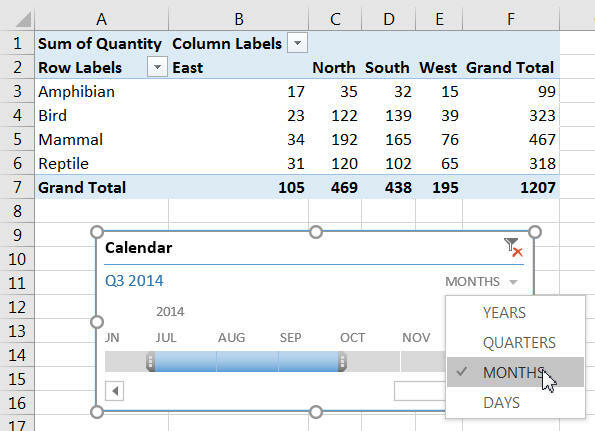 One thing, however, that you can't do is to hold down the CTRL key to select date ranges which are non-consecutive. Click on the drop arrow show to choose from an even wider range of styles than those appearing on the screen by default. 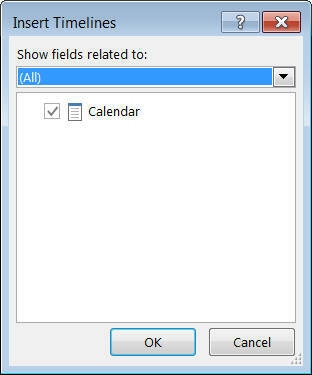 Click here to remove any filtering imposed by the timeline, and choose all possible dates. Right-click and choose this option to get rid of your timeline altogether. This works in exactly the same way as it does for slicers. 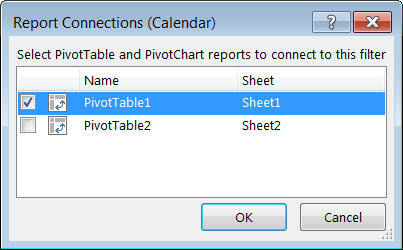 It would have been a good idea to give these pivot tables better names! And with that, I think I've exhausted the subject of timelines!